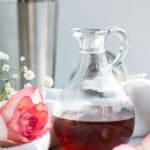 Rose syrup made with dried rose blossoms is so easy to make and can add some delicious floral flavor to cocktails and other drinks. 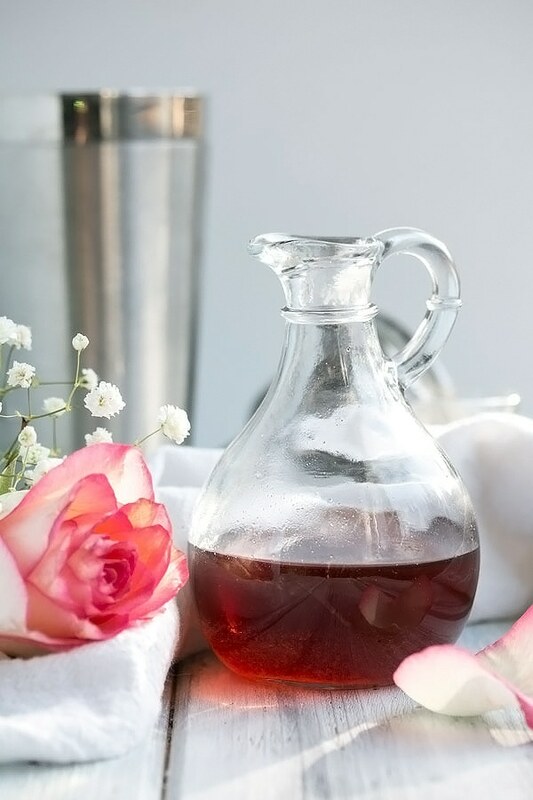 This rose syrup is just like a basic simple syrup recipe but just with added rose blossoms. Its sweet and gives an excellent floral flavor and fragrance to cocktails. A simple syrup is made with equal parts water and sugar and then cooked down until the sugar is dissolved and the mixture thickens slightly and coats the back of a spoon. This rose syrup is just that, but with half a cup of dried rose blossoms thrown in the pot too. This amount of rose blossoms creates a rose simple syrup that tastes and smells like roses, which is great for cocktails or drinks with lighter competing flavors. If you are making a cocktail that has stronger flavors, you may want to increase the amount of blossoms you use in your rose syrup. We have made this rose simple syrup before with as much as 1 cup of rose blossoms and it turned out lovely as well. dried organic rose blossoms – which ever ones you buy, make sure they are organic as you don’t want to be making your simple syrup with roses sprayed with pesticides. 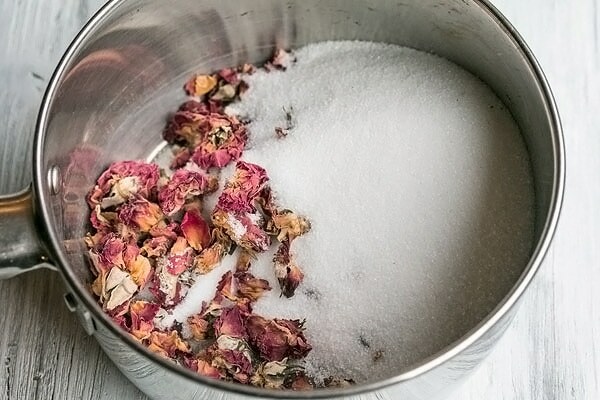 Add the sugar, water and rose blossoms to a small pot. Heat over medium heat until the mixture starts to simmer. Turn the heat down to low and simmer for about 10 mins until the mixture starts to thicken and it can coat the back of a spoon. Let the mixture sit for a while and cool down on its own. When its cool, strain the simple syrup and discard the rose blossoms. Store the rose simple syrup in a container in the fridge until you are ready to use it. I love this! I haven’t used flowers much in drinks and food before, but I am ready! We havent that much either, but we are going to start doing more with flowers. 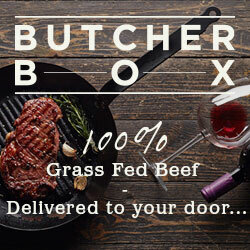 We love the flavors and fragrance. how to do it with fresh roses? I’ve got plenty of pink roses with sweet aroma.